So I think there’s probably two big things that we wanted to achieve. One was putting choice at the center of the experience, so choice and consequences and bringing dialogue options and impacts to the decisions that you make across the game. So progression, pushing that beyond what Assassin’s Creed Origins did, giving you multiple pathways to progress. We’ve got naval as well, so you’ve got seamless open-world naval where you can progress your ship and upgrade that, you’ve got your character where you’re getting new gear, you can engrave that gear with special perks to make it your playstyle, so choice gets interwoven into that. You’ve got abilities which sort of mix up the combat and give you a lot of new options within the fight, so you’ve got the same core basic fights as Assassin’s Creed Origins, but we’ve improved it an additionally added on these abilities which you have to build up adrenalin [sic] before you spend adrenalin [sic] on an ability within the combat. It’s really mixed up the combat and made it into a much stronger overall RPG experience with the choice sort of combined into it. 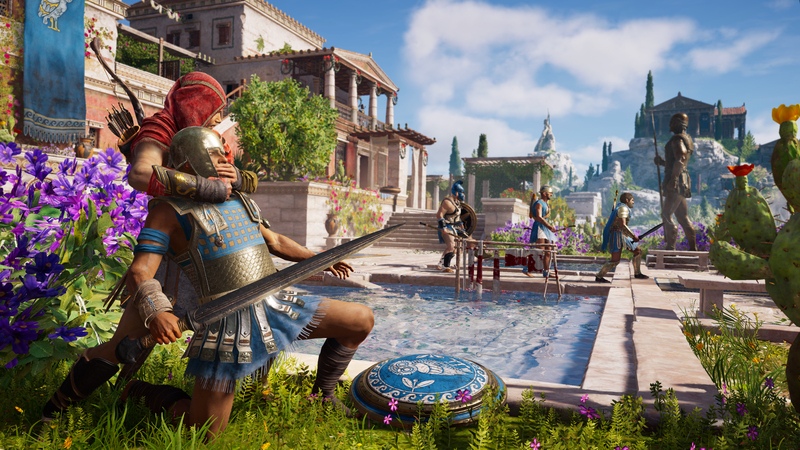 Ubisoft Quebec has been hammering home how Assassin’s Creed Odyssey is an RPG experience for a while. Player choice in every situation will offer fans ownership over this entry in the series, the team noted in a recent developer diary. The decisions even extend to combat customization and naval combat. Since Assassin’s Creed will take a year off in 2019, there’s a long wait ahead to see how the series will evolve next time. Assassin’s Creed Odyssey arrives this fall on October 5, 2019.